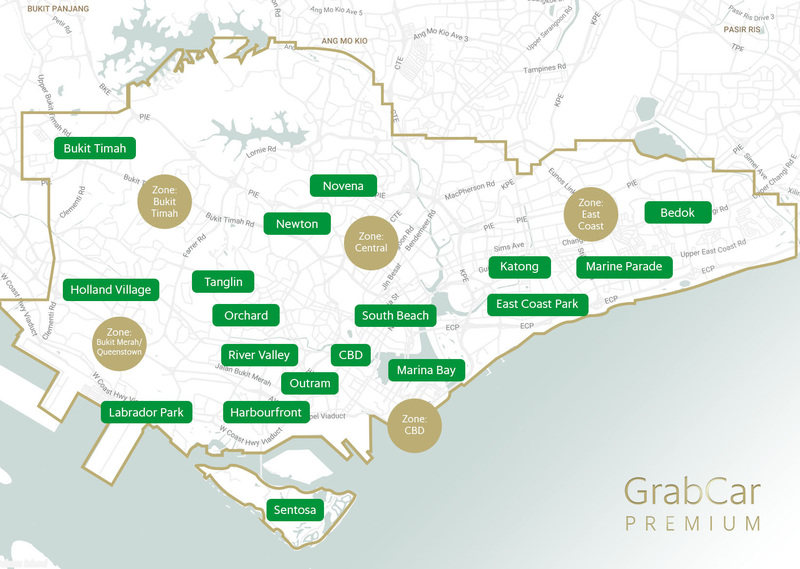 From 8am to 9:59am and 5:30pm to 10:29pm every day this week (17th to 23rd Apr) , drive as much as you can on GrabCar Premium and you will earn $35 per online hour! The longer you drive, the more you earn in guaranteed fares! In addition, earn $3 EXTRA CASH per trip you pick up at Airport, CBD, Central (incl. Sentosa) and Queenstown/Redhill! Mr. Tan drove on 20th Apr from 8am to 9:30am and from 5:30pm to 10:29pm. Whilst driving, he took some breaks, so the total online hours he completed for the morning was 1.4 hours instead of 1.5 hours, and total online hours he completed for the evening was 4.5 hours instead of 5 hours. During the morning peak hours, he completed 1 GC Premium trip (Fare $30, inclusive of surge pricing). During the evening peak hours, he completed 6 GC Premium trips (total fares $120, inclusive of surge pricing). He has NOT fulfilled the minimum rides requirement for the morning incentive, but he has fulfilled the minimum rides requirement for the evening incentive. Thus he does NOT qualify for the morning incentive, but he qualifies for the evening incentive. 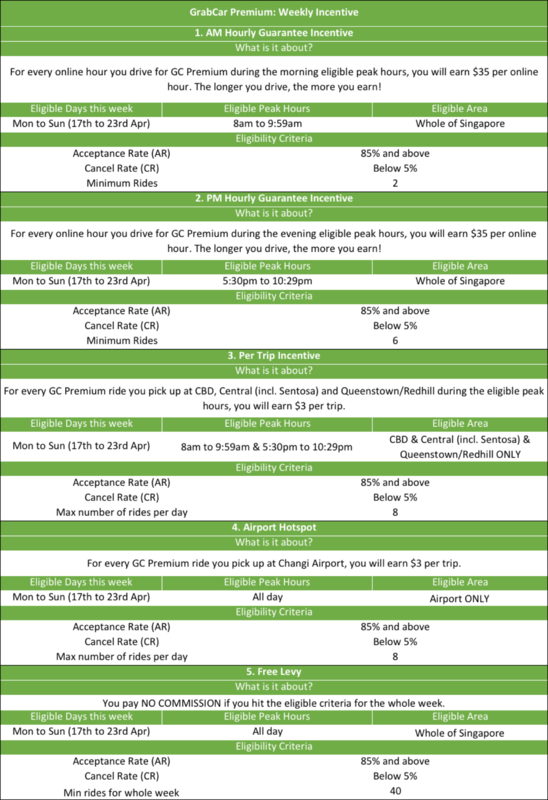 After deducting 20% Grab Commission from $37.5, $30 will be paid into Mr. Tan’s bank account in the week starting 24th Apr (note: 20% commission will be deducted as per usual from the fares collected).